Updated 07/04/2019 By Alyson Long. Any post on this site may contain affiliate links. If you use them, they cost you nothing extra. We make a small commission. 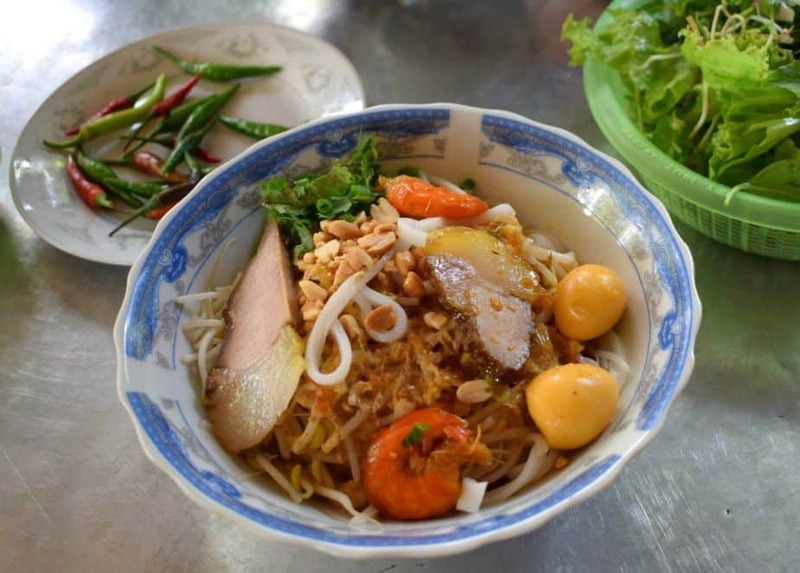 Hoi An is famous as a food lovers’ destination with many local specialities to eat. The Vietnamese food here is superb but there are also some great Western, Asian and Western / Asian fusion restaurants to try. 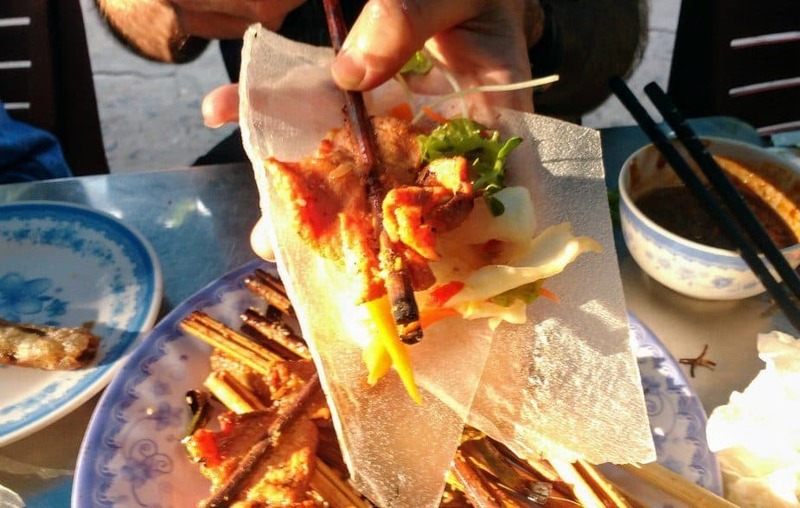 What to eat in Hoi An, after trying ( almost) every dish and every restaurant over 5 months. Every day we’ve eaten out at restaurants, street stalls, hotels and cafes at least once, often 3 times. 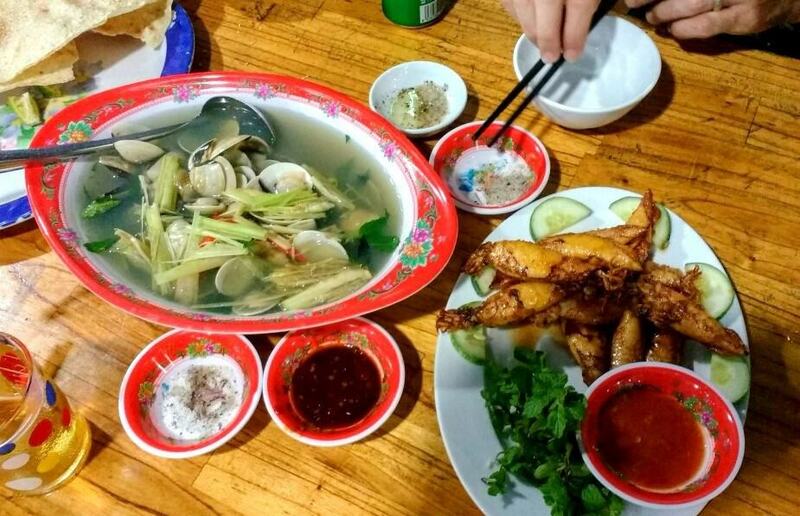 We’ve trawled the internet searching for the best food in Hoi An and the best eating experiences. We’ve tried every local Hoi An dish we could find and been taken out by locals to their favourite restaurants. It’s been a voyage of culinary discovery and Chef, I ( the only vegetarian here ) and the kids have loved the journey. 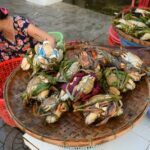 Central Vietnam and Hoi An in particular are famous for quality, fresh seafood, prices are low, so a seafood feast can easily fit any budget. So here’s our extensive guide to what to eat in Hoi An and where to find the best food based on our personal experiences. You won’t find any fake reviews here as you will elsewhere. 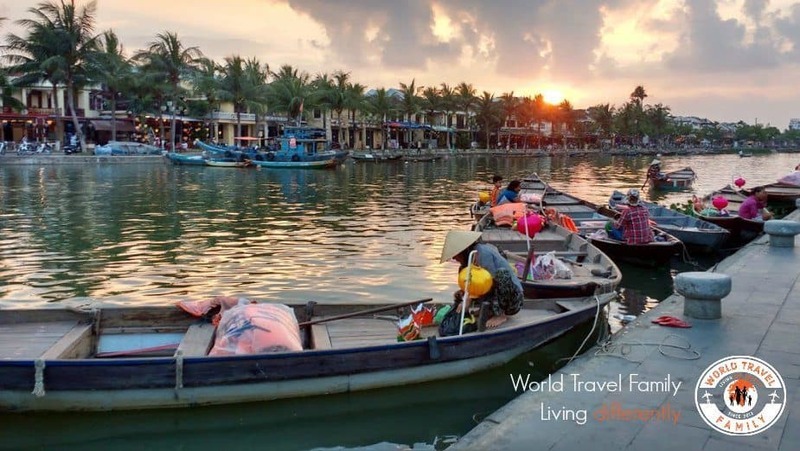 Enjoy eating in Hoi An and watch out for the fish mint! Beautiful Hoi An as the sun goes down on the Old Town’s waterfront. It’s been a privilege to call Hoi An home and search for the best food experiences Hoi An can offer. 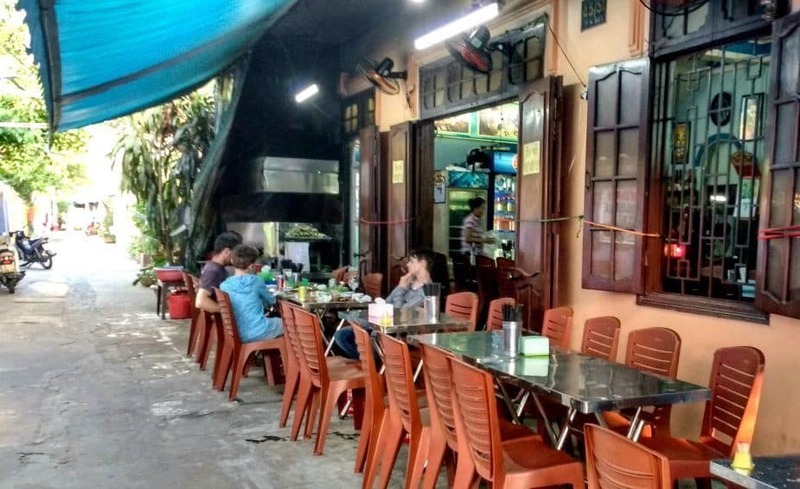 Is it Safe to Eat on The Street in Hoi An? 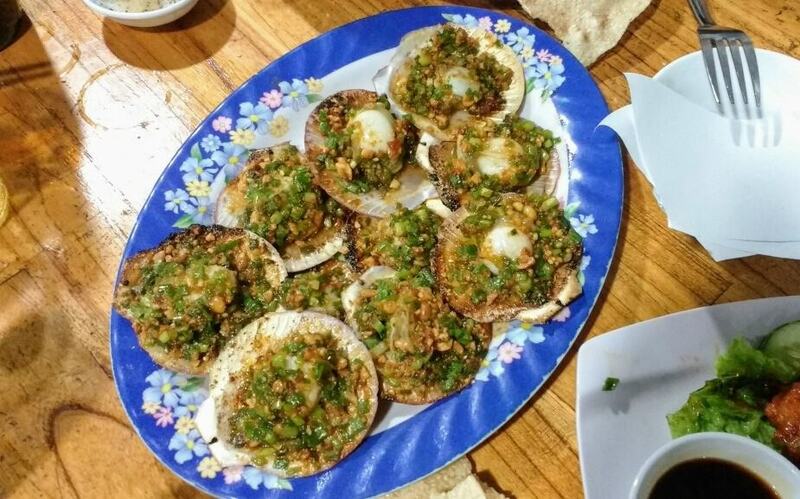 Certain Vietnamese dishes are unique to Hoi An, others are available throughout Vietnam but Hoi An puts her own twist on them. 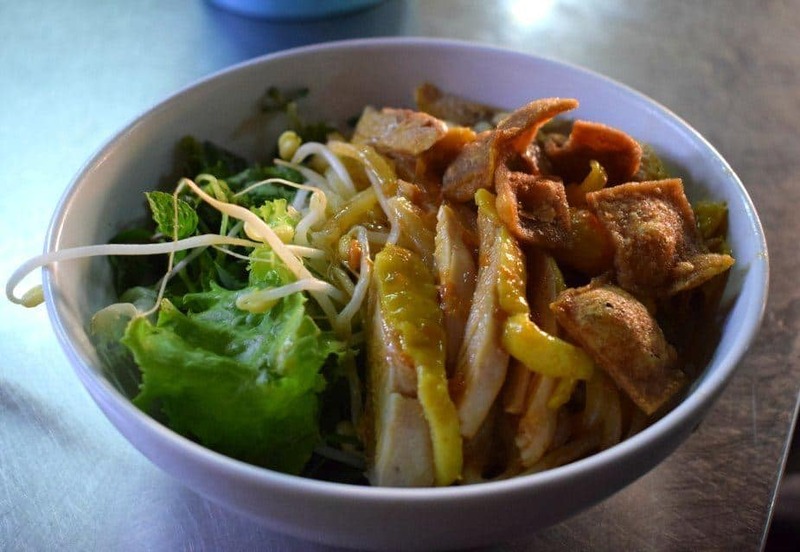 Below are a few dishes you must try during your time in Hoi An. A chicken cau lau, regular cau lau normally comes with pork but seafood and vegetable versions can also be found. Cau Lau refers to the noodles and they can only be made in Hoi An with water from the Ba Le Well, seen below. The strange ingredient in cau lau noodles is ash and the noodles are plump and squishy rather like udon noodles. Cooking Bahn Xeo at Hoi An’s central market. 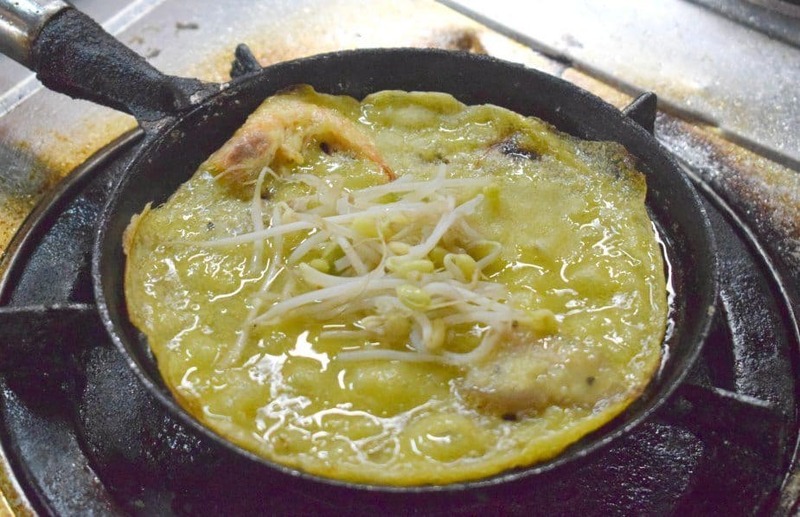 The story doesn’t end with the Bahn Xeo crispy pancake. Delicious as they are, there is more to add. You take your crispy, eggy little piece of deliciousness and place it on a sheet of crisp rice paper. You then top it with mint and lettuce before rolling the whole thing up spring roll style and dunking it in a dipping sauce. It’s so, so good! 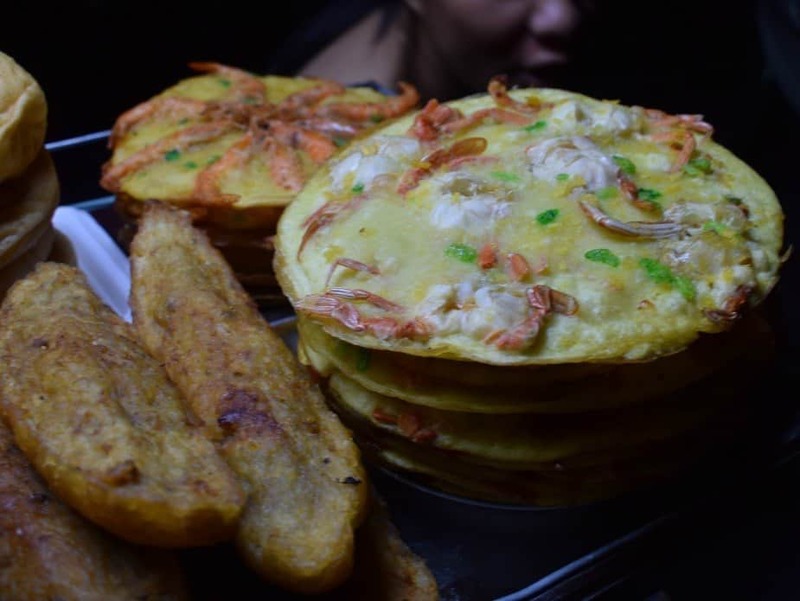 The pancakes always contain bean sprouts and usually sliced pork and a couple of prawns. My absolute favourite Hoi An dish. I’ll cycle miles to visit my favourite mi quang lady and sit on her tiny plastic stools, but whichever street stall you choose, this dish is good. Rice noodles, a highly flavoured soup with tiny hard-boiled quail eggs, a few slices of pork, a couple of prawns and another ladle of soup for luck. Mix with greens, herbs, leaves and shredded banana flower, it’s the stuff of dreams. Buy it at a street stall or small pavement shop, I still haven’t had a really good one in a restaurant, nor in the central market. Mi Quang takes its name from the local area, Quang Nam province. 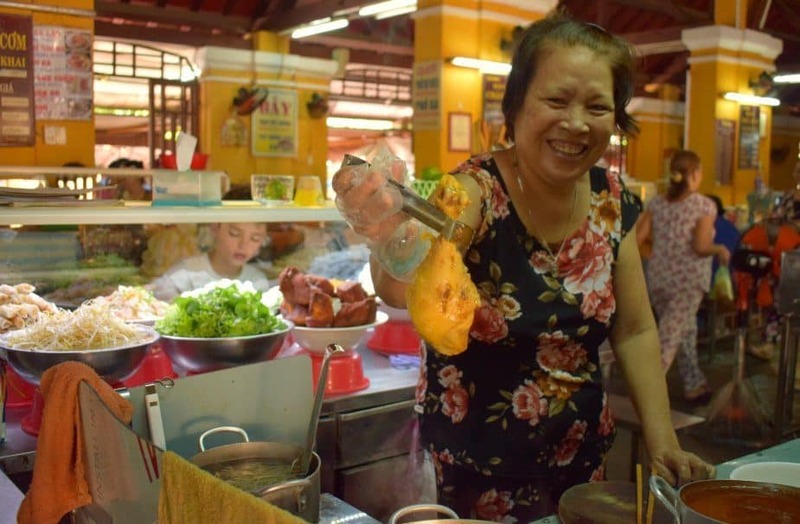 Can you Book Hoi An Food Tours and Cookery Classes in Advance? Yes you can. We are big fans of this site for booking all sorts of tours and transfers. 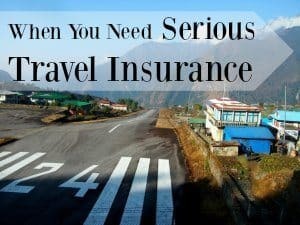 Organising tours like this allows you to pay online with your card, have the backup of a big company with guarantees, be sure your dates are available and avoid any local scams, rip offs and haggling. 1. A 6 hour eco experience including market tour, basket boat ride and cooking class. We can recommend this one, we loved it and took the kids along. ( click through to inspect here). 2. 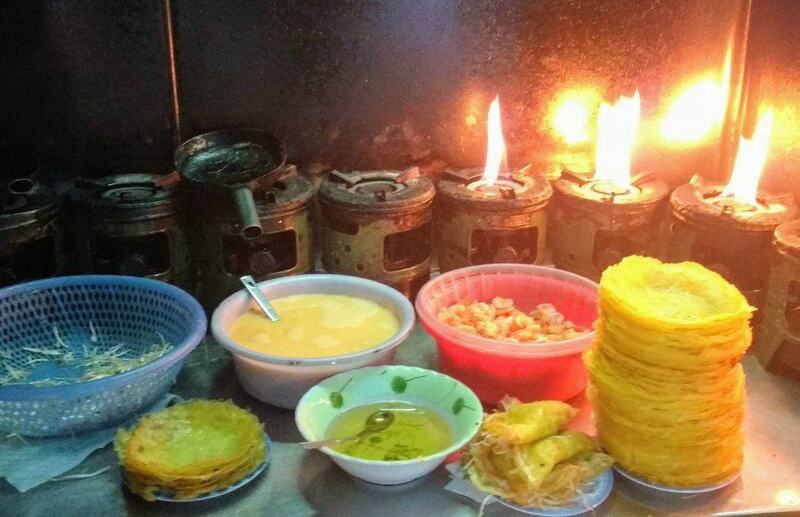 A night tour with food tasting around Hoi An ( inspect here). 3.A combined walking historic and culture tour with walking tour. (inspect here). Can you Make Dinner Reservations at Hoi An’s Best Restaurants in AdvanceI took a look at Open Table ( a global restaurant reservation company) and they don’t seem to have any Hoi An restaurants currently listed. They do have restaurants in Da Nang, just a short drive up the coast from Hoi An. 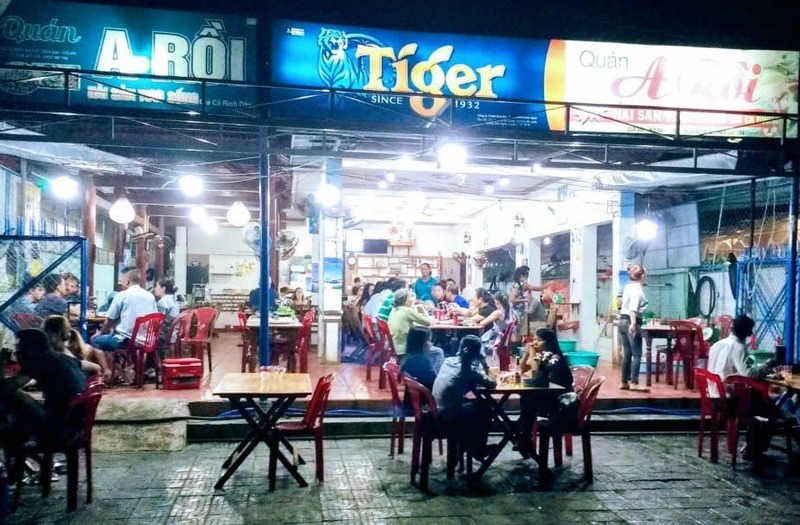 I’d suggest you take a look at Trip Advisor and if you’d like to make reservations for a particular restaurant do it from there.Are There Pick Pockets in Hoi An ?Yes, unfortunately, we’ve seen them at work in the evenings down on the waterfront. We also hard a card skimmed in one of the big hotels. 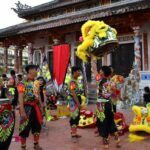 Take a look at our anti theft travel devices and tips for avoiding theft.What Hotels Can We Reccommend in Hoi An ?We really liked this one. A great location, beautiful rooms and spa, wonderful staff. If you click through our price comparison tool can find you the best deal on any hoytel, hostel, homestay or guest house. Locals start barbecuing meat on a stick around sundown. The above photo was taken at a street stall in the night market. The beef above was tender, delicious and studded with sesame seeds. 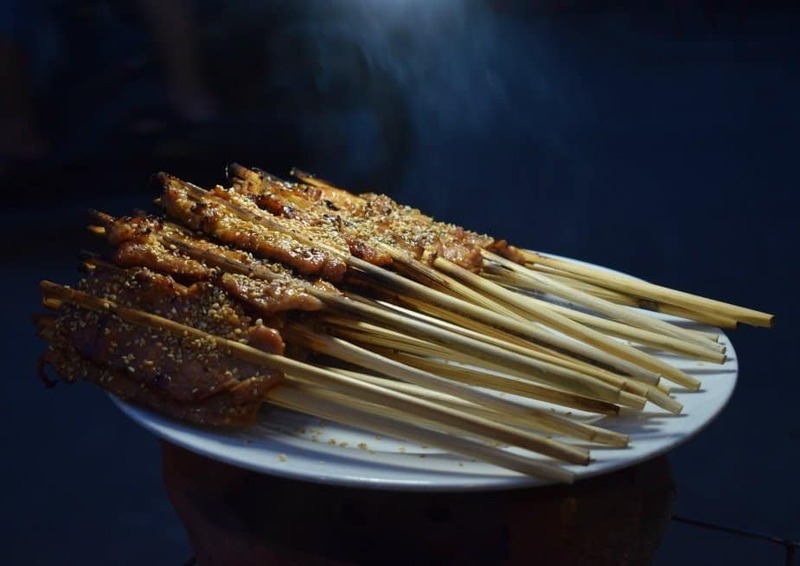 You’ll also see marinated pork cooked in the same way, this is normally served with vegetables, rice paper to make a wrap, and a peanut dipping sauce as in the photo from Ba Le Well restaurant below. Banh Mi simply means bread and in Vietnam you’ll find a filled Banh Mi stall on every street corner. There is a small, unassuming Banh Mi shop in Hoi An that will be forever famous thanks to Anthony Bourdain. We’ve been, the Banh Mi are good, but the best? I don’t know. We very rarely eat Banh Mi so we can’t compare, but Banh Mi Phuong always has a queue. My children don’t like Vietnamese Banh Mi, they have too much of a jumble of different ingredients going on and the tuna is fresh unidentified fish rather than tinned tuna as they know it, so we only ate at Banh Mi Phuong once. Hoi An locals are crazy about com ga, chicken rice. I must admit, I’m not a huge fan. But I’m going to try a few more places and see if I can find a winner, along with a decent photograph. The chicken comes skin-on which to me is an absolute no, but the pickles and yellow rice and rather good. White rose at the White Rose restaurant. They say that this is the only place in Hoi An that White Rose are made and again, as for Cau Lau, the water must be drawn from the Ba Le Well. 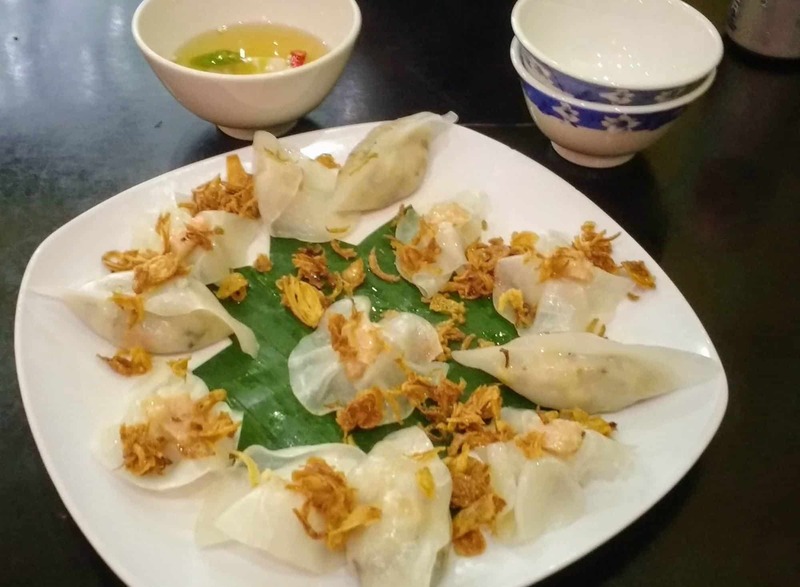 It is said that every white rose dumpling in Hoi An is made at the White Rose restaurant ( 533 Hai Ba Trung ) by the only family that holds the secret recipe. Again, the dumplings must be made with water from the Ba Le Well. We’ve eaten white rose all over Hoi An but the above plate was from the actual White Rose restaurant. The small prawn filled dumplings are what we’ve been served elsewhere, the larger dumplings above contain bean sprouts and something we couldn’t identify. I must admit, I prefer a simple plate of prawn white rose at a lower price elsewhere. The fried onion topping and dipping sauce really make this dish, it’s heavenly. We normally pay just 25,000 Dong for a smaller plate of prawn white rose, the plate above was 70,000 Dong. 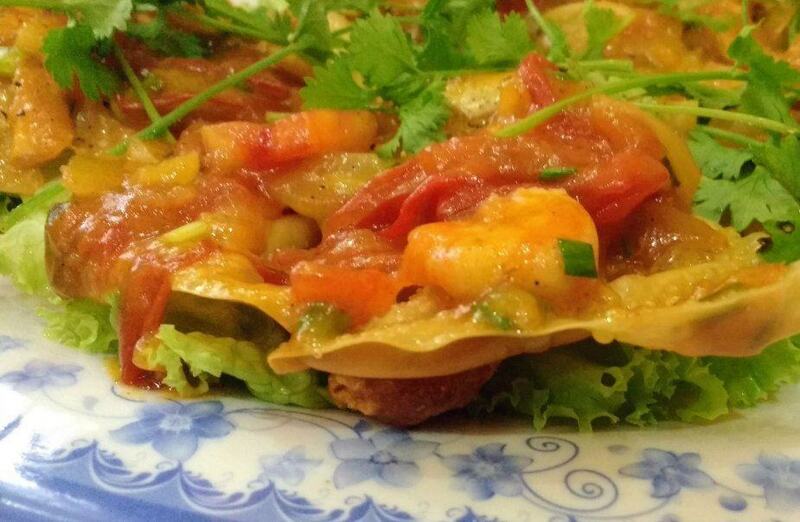 Fried wontons topped with seafood in tomato sauce. Again at the White Rose restaurant. 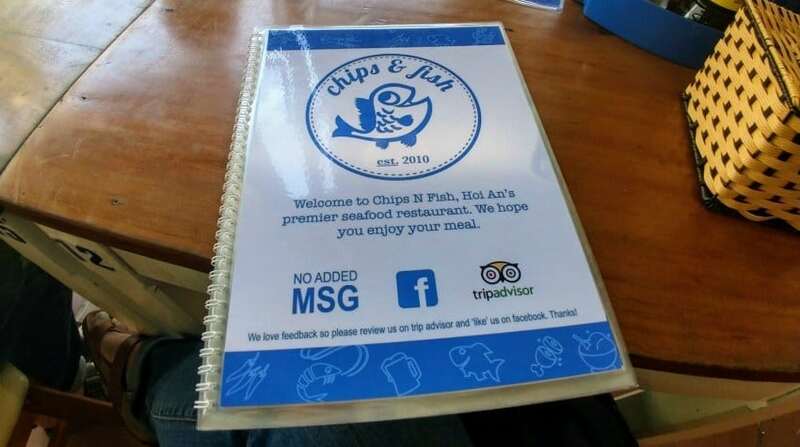 This restaurant only serves these two dishes. These fried wonton were seriously good, incredibly light and crispy with a little soggyness on the top. The version above, from the White Rose restaurant also held a secret pocket holding a pork or prawn filling which we couldn’t identify. The basic Vietnamese tomato sauce is the same as you’ll find in many Vietnamese dishes, it’s very simple and usually contains pineapple. Look for chicken, pork, beef or tofu “in the pot”. A slow cooked sealed ceramic pot cooked on the fire. Not just for the vegetarians and vegans, tofu in Hoi An and Vietnam is superb. It usually comes here either with lemon grass and chili or tomato and pineapple. Cafe 43 serves stuffed tofu and tofu in banana leaf along with a good vegetarian cau lao. Just wow! There are peanuts going on and a lot of herbs, absolutely delicious. I’ve also seen oysters or any bivalve treated this way. We’ve had no tummy trouble at all in almost 3 months in Hoi An. We’ve eaten everything, salad, herbs, ice cream, prawns and generally anything we could find. It’s rare to not even have mild tummy trouble in Asia. Maybe we’re immune to everything these days after almost 5 years of eating our way around the globe, but Hoi An gave us an impressively low sickness index. The kids were absolutely fine too, which after them being sick almost every day in Nepal, was a huge relief. Eat cau lao, mi quang, pho, bun bo, op la, anything you can find at street stalls is generally good. We can give you a rough guide to food costs in Hoi An but prices are a little flexible so don’t take our word as gospel. We’ve seen good Vietnamese street food from 15,000 dong, that’s less than a dollar for a pho, cau lau or mi quang. ( roughly 20,000 dong = $1 ) As a tourist expect to pay around 20- 30,000 for your delicious bowl of goodness. Prices tend to depend on how much the owner likes you. If you eat at Hoi An’s Central Market each stall has clearly marked fixed prices, expect to pay between 20 and 50,000 dong. If you can find a good restaurant, locally owned, that serves fairly authentic local food, expect to pay 30-50,000 Dong. 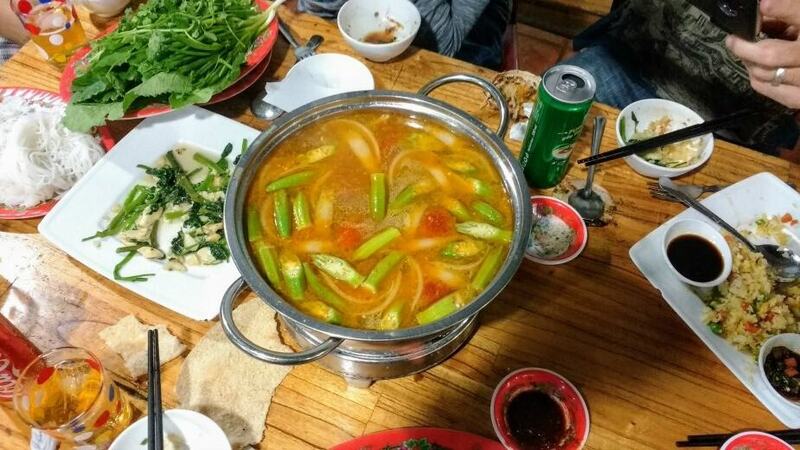 If you go for a more lavish meal like a seafood hot-pot for two you’ll be paying around 100-200,000 Dong. The huge meal shown below at the Ba Le Well restaurant was 120,000 Dong per adult, 100,000 dong for the kids. If you use western restaurants or any restaurant aimed at tourists, you will be charged more. Of course the sky is the limit, you could pay a fortune in the hotels but generally we found food prices very low here, probably lower than Thailand, certainly lower than Laos. You can most certainly get a very good meal for roughly $2. Spring rolls are light, fresh, delicious and healthy. 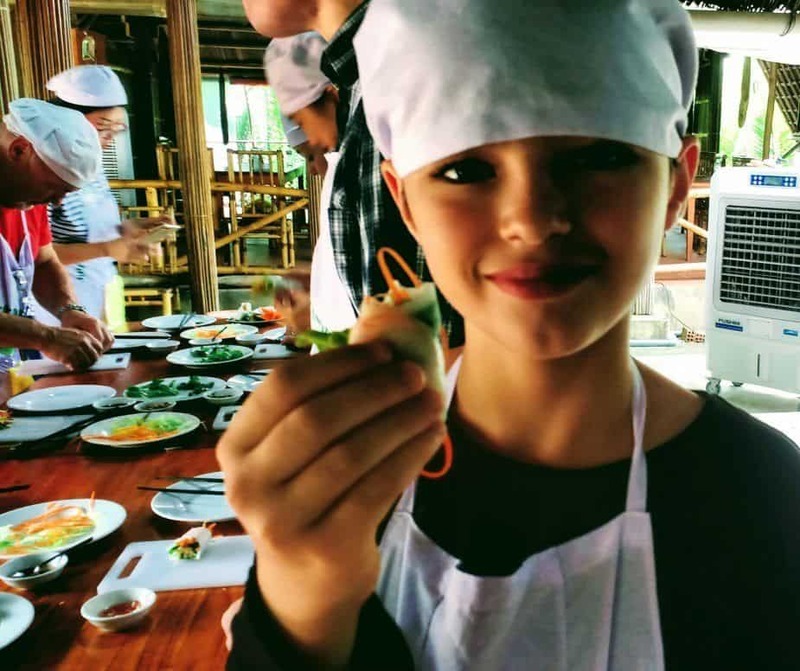 My kids made their own on our Vietnamese cooking class, they even made their own rice paper. Make sure you try spring rolls in all their incarnations, fresh, steamed and fried, vegetarian, shrimp, chicken or pork. Vietnamese food generally isn’t spicy nor does it contain much or any chili. If you like your food hot a good restaurant should have fresh chilies, chili flakes or a chili sauce or jam on the table. If the restaurant only provides the orange chili ketchup, maybe find another restaurant. 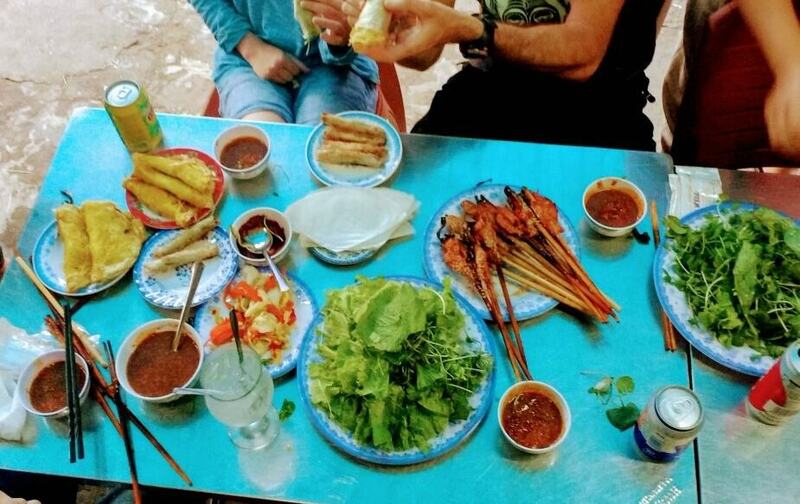 Our kids loved the food in Vietnam and found it far less of a challenge than Thai food, they enjoyed spring rolls, steamed, fresh or fried, my elder son was totally hooked on Cau Lau and the younger one was a Bahn Xeo connoisseur. Unlike Thailand or many other parts of South East Asia, it’s very easy to get western style foods here, nobody will be missing their cheese, pizza, bread or French fries. However there are no western junk food outlets that I know of in Hoi An. Fresh fruit shakes and smoothies are available anywhere and Thai and Vietnamese banana pancakes can be bought on the street. Try the Hoi An ice cream carts, you’ll find them around the Night Market. Watch as they make ice cream curls before your eyes. Most corner shops sell such western delights as boxed cereal, Tim Tams and Chocolate Digestives. So much more to try! Hoi An street food never ends, here prawn and crab pancakes and deep fried pork pate on baguette. There are more variations on street food in Hoi An than I could possibly name. But still, we’ve had a good go at trying them all. More to come on this section. Chef and I enjoying a cheap ( $1.50) dinner at our local pho joint. You can find pho almost anywhere but if your local pho joint is busy with locals and the floor strewn with diners’ trash, you can bet it’s good. Most seem to only open for breakfast and dinner and they’re very happy to give you pho to go in little plastic bags, one for the stock and meat, one for the herbs, one for the cold rice noodles. Pho is pronounced fer and beef, bo is boh . So fer boh . Pho Bo ( beef pho) is simplicity itself. The stock contains a very small amount of star anise, cinnamon, onion and sugar along with an abundance of beef bones. At serving time your pho chef will fill your bowl with cold rice noodles before dunking a few slivers of ultra finely sliced raw beef into the stock. The beef and a ladle of hot stock are enough to heat your noodles. Good pho comes with accompanying herbs, a few peanuts and bean sprouts. Eat it for breakfast or dinner. It’s become the ultimate comfort food for us in just a few weeks. When the locals take you to their favourite restaurant for dinner, you know you’re getting some of the best food Hoi An has to offer. This seafood restaurant was their pick and it’s popular with locals and seafood-loving Asian tourists. Prices were incredibly low compared to restaurants aimed at holiday-makers. Just 2 of the dishes we enjoyed at the seafood restaurant above, clams stewed with lemongrass and stuffed squid. Vietnamese food is designed to be shared so order multiple dishes for your table. We rarely saw rice served, noodle dishes were far more common. Another dish to try, a Hoi An or Vietnamese fish and seafood hot pot. We slid raw fish in the tomato and pineapple stock, waited a while, then added raw prawns, clams and squid. It was delicious. “Our” market lady regularly feeds us cau lau and spring rolls for breakfast. The Central market has a sort of food court where vendors will do their best to attract you to their stalls. Each stall serves a very similar selection with a fixed price menu in English. It’s good, reliable and we eat there often, but I’ve still not had a street-quality Mi Quang there. We have a full post on shopping and eating at Hoi An Central Market here. Once you find the Ba Le Well restaurant, just sit down, in the alleyway or in the walled garden, and you will be served a fixed menu treat, read more below. Sitting outside the Ba Le Well restaurant. Meat on a stick, slide it off into a sheet of rice paper, add herbs and lettuce leaves, wrap, dunk and eat. Our vote goes to Mia Coffee, we became regulars and bought their freshly ground Arabica beans to use at home. 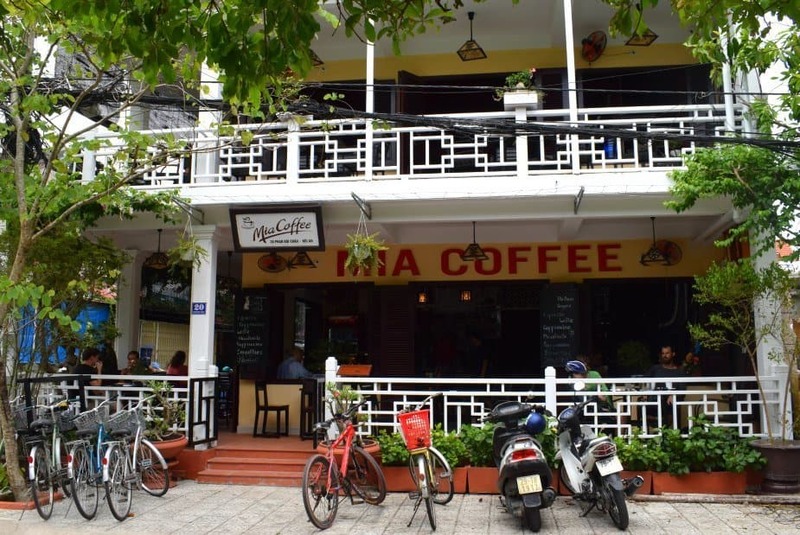 We’ve tried Hoi An Roastery, Coco Box and Dingo Deli but Mia gets our vote. They have perfect carrot cake, cheesecake and fresh fruit smoothies too. The smartest restaurants stick with a few items and execute them well each day. There is another very nice coffee and cake shop behind Ang Bang Beach, it’s called Mi Son. Oh-so-good real Greek food at Mix. If you’re craving Western food, go Greek! 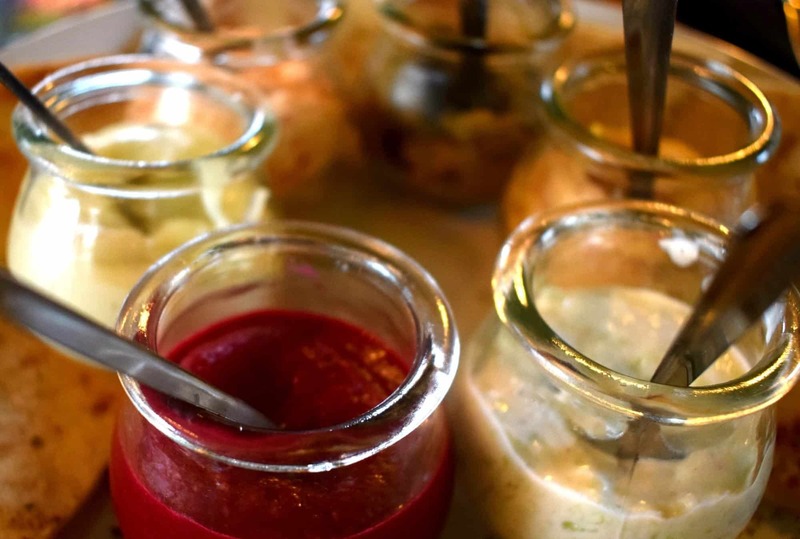 We loved our meals at Mix restaurant particularly the huge selection of Greek salads or dips with fresh pita. Prices are good, main courses start at 70,000 dong and the owner is friendly and welcoming. An attractive riverside setting and a well decorated atmospheric interior help everything along too. They serve huge sharing plates of fish or meat which we haven’t yet tried, I think 1 would do for all 4 of us. 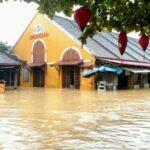 There are a few Thai restaurants in Hoi An, the one we’ve tried, Thai Kitchen, is run by a Thai / Spanish couple and the Massaman curry was out of this world. We love Vietnamese food, but sometimes you just need that flavour punch of Thai food. We will try the other Thai restaurants before we leave. UPDATE: Friends visited The Happy Buffalo in August 2018 and reported that it’s changed hands and is not the place it was. Which is a shame if it’s true. I’m trying to find out more. We’ve only recently discovered this crazy expat bar and restaurant, the owners offer a warm Canadian welcome, flowing drinks and some truly unique dishes. Order a different dish each and share, this food is interesting and amazing. Try banh xeo pizza, cau lau noodle mac and cheese bites, banana flower salad cups, duck spring rolls, fish tacos and more. Everything we’ve eaten there is superb and prices are good, around 50-100,000 Dong per plate. They do great cocktails too. They don’t use MSG. Good Indian food at decent prices, lunch for 4 came in at $20. Warning, I reacted badly to MSG after visiting this restaurant the 2nd time. Chef sneaks down to Jim’s Snack Bar when he needs a solid meat feast. 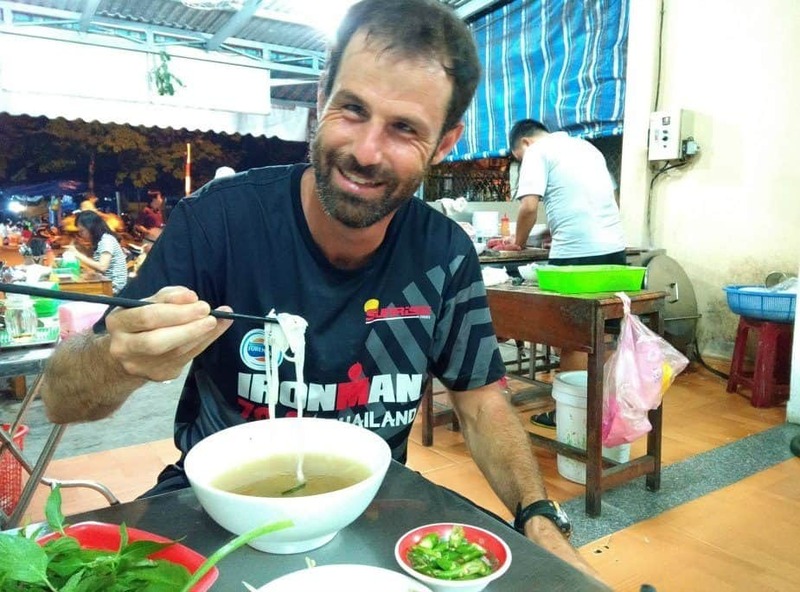 All that Ironman training leaves him hungry and Vietnamese food is just too healthy sometimes. Substantial, hearty, delicious burgers but not cheap. Prices start around the 110,000 Dong point. Luckily for me, Jim’s also does really good vegan burgers. It’s hard to find a restaurant that doesn’t use MSG in Hoi An. We can recommend this one. MSG is a real problem and it seems the more MSG I eat, the worse my reactions become. How to tell if your food contains MSG? Your beer will taste weird afterwards. To me, the beer starts to taste like formaldehyde. Assume that everything you eat contains MSG unless otherwise stated. If, like me, you have a real problem with MSG, type ” I cannot eat MSG, is this food safe for me ? ” or similar, into your phone and get it translated into Vietnamese to show your waiter before ordering. We are fairly certain that the street food we buy regularly from locals-only food stalls does not contain MSG, otherwise the following restaurants state that they do not use MSG. Mien Hien vegetarian restaurant says that it does not use MSG ( see below) A huge vegetarian and vegan exclusive menu, all good. Chips & Fish is a great little place with good Vietnamese food for vegetarians and omnivores. It’s on the “party” side of the river, but far enough away from the noisy obnoxious music bars to be peaceful. Great prices. Their fried fish is the best any of us has had in Hoi An and their tofu with aubergine is great. The Little Menu states that it does not use MSG but the menu is limited, very westernised Vietnamese ( Australian beef, tuna steaks and so on ) and expensive with poor vegetarian options. The Phoenix Restaurant. Michael is a British expat and serves up burgers, breakfasts, toasted sandwiches and some Asian ( Thai and Vietnamese) food. He hates MSG but watch out for the ketchup in Hoi An. Limited vegetarian options. Jim’s Snackbar. I think you’re safe from MSG here, next time we go I’ll ask. Serves good vegan burgers but always be cautious with ketchup. Cafe 43 has good, cheap Vietnamese food and a strong vegetarian menu too. It’s very popular and service can be terrible but the excellent vegetarian cau lau and grilled tofu in banana leaf keeps pulling me back. Unfortunately they use MSG and after a while we had to stop eating there. Sao Mai is a small family run restaurant right on the waterfront near Hoi An Central Market. It’s away from the main tourist crowds that gather near the Japanese Bridge, but busy enough to be a good people watching spot. They serve good Banh Xeo, white rose and mojitos. If they use MSG it’s at a low level. Mien Hien is opposite cafe 43, is vegetarian only and does not use MSG. Increasingly this restaurant is our choice despite my husband and kids being carnivores, we just can’t handle the high levels of MSG found in Hoi An restaurants. Pho Xua is a nice little restaurant ( near Ba Le Well) that does good Vietnamese food. Low prices, but gets very full with Asian tourists. Chips & Fish No MSG, nice food, other side of the river. We didn’t try every restaurant in Hoi An, but we tried a lot. I haven’t named the ones that were bad. Also we’re still here and rapidly filling as many gaps in our culinary knowledge as possible. We’ll add more to this post. Plenty of restaurants over-charge, many use MSG and plenty serve bad tourist-fodder, but seek out Hoi An’s gems and you’ll leave very happy eaters. We’ve never had an MSG reaction after eating street food aimed at locals in Hoi An. We hope you enjoy the best food in Hoi An during your stay and figure out what to eat in Hoi An and where to eat it, it makes such a difference to arrive in town with a little insider information rather than falling victim to the fake reviews you find on some sites. Also, I’m curious. Is this what you thought eating on the road would look like? Better or worse? Cheaper or more expensive? Tell me. I think we had that in Danang, but never did in Hoi An, no. We googled for best restaurants in Danang and tried this place with the at the table barbecue but it took forever and we left starving. Not fans! I guess it’s better in Hanoi! You’ll find the seafood place down near the Sunrise Hotel, that long strip past Ang Bang. I don’t know the name and we went with Vietnamese friends. Various mi quang ladies, but there is a good one who only charged us 20 K in the back alley almost opposite Jim’s Snackbar. Go under the arch thing and she’s on the left, almost opposite the lantern making place. It’s just the front room of her house. She’s just before The Phoenix and those two veggie places. There were 2 others we used, but they’re way out in the countryside and I couldn’t describe it. Watch out with mi quang that it’s the quail egg/prawn one, not the offal one, we were surprised by that one once. This mi quang lady also does good cau lau. Watch out for the fish mint, it’s evil. Looks a bit like a glossy ivy leaf and tastes rank. The mi quang lady in the video, where D and I are eating breakfast, is on the street…I just can’t describe it. But most of them are good. Happy Buffalo is a bar, so evenings only. They shut in bad weather so keep an eye on their Facebook page. Awesome! Thanks so much. Will go and check them out! We’re getting a scooter today so should make things easier to get around! So far we are really living it but boy is it HOT!!! Thank you for your detailed food places to eat in Hoi An. I’m here in Hoi An and would love to try your recommendations. ???? As you can probably tell I am having s bit of an ‘Alyson’s posts fest’. So glad you recommended these places, I’ll let you know what I thought. All the best. The knicker stalker. This one needs updating Luz. I hit the msg wall about half way through our stay. But you MUST go to The Happy Buffalo, you’ll love it and the vibe, it’s fun. Oh, we were so hoping to touch base with you. We go to Vietnam on Saturday. We are in Malaysia now. Funny how that goes. I love this article and we will check out the eats. Well done!!! hello oh my!!! my mouth is watering, the food looks amazing, and by the way your boys are just adorable so handsome, and to see the world through there eyes,, what an experience for them…..
We’re here now Kaz, just 3 days left. We stayed a while because my husband was in training for Ironman Malaysia, it’s next week. He needed a quiet, safe place to run, ride and swim, in a tropical climate to acclimatise. Yes, just go out the back of our house on foot or by bicycle and your in the paddi fields and gardens that stretch to Ang Bang Beach and the development there.